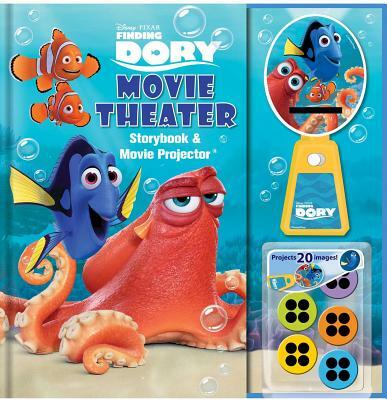 Relive the adventure of Disney•Pixar Finding Dory with this storybook that includes a removable projector that doubles as a flashlight and five picture disks. Kids will love projecting movie images onto their wall as they read along. Finding Dory tells the story of the beloved friendly-but-forgetful blue tang fish and her search for her loved ones. Along the way everyone learns a few things about the true meaning of family. The storybook comes with a Dory-shaped movie projector and 5 disks with 20 images from the movie. Readers will love shining additional images from the movie on their wall for a theatrical storytime experience.